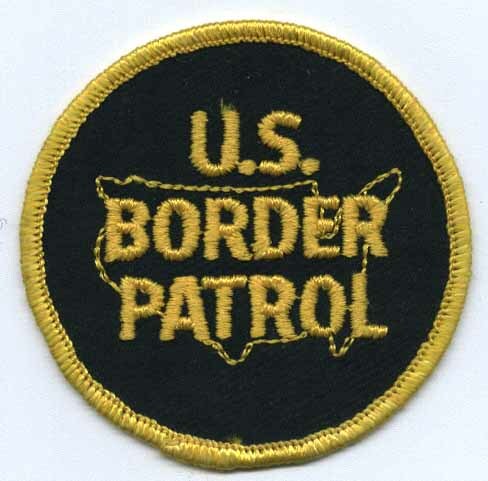 The standard U.S. Border Patrol patch has basically remained the same since it first started appearing on uniforms in the late 1930's. The design was officially approved on August 5, 1942. 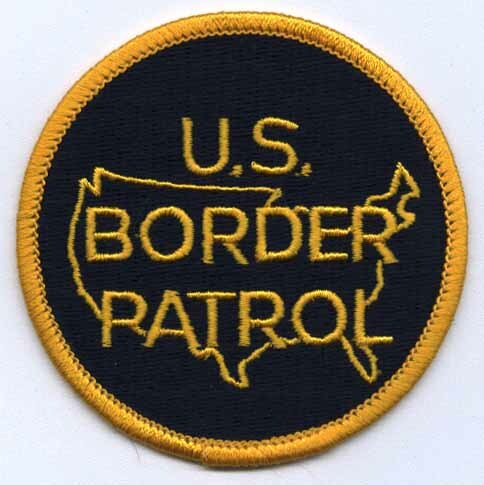 The official patches are worn on the left shoulder and are three inches in diameter with a 5/32 inch border and lettering that is 3/8 inch tall and 1/16 inching wide. 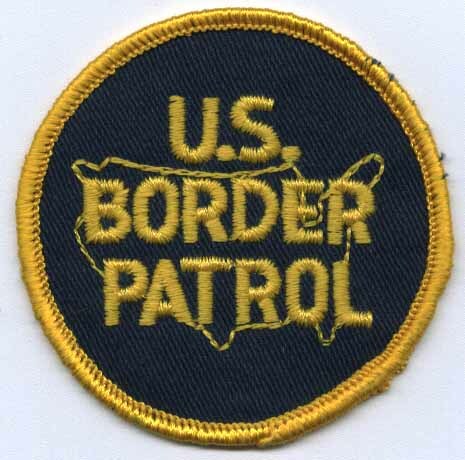 Beginning in 2004 a U.S. Customs and Border Protection patch began being worn on the right shoulder. 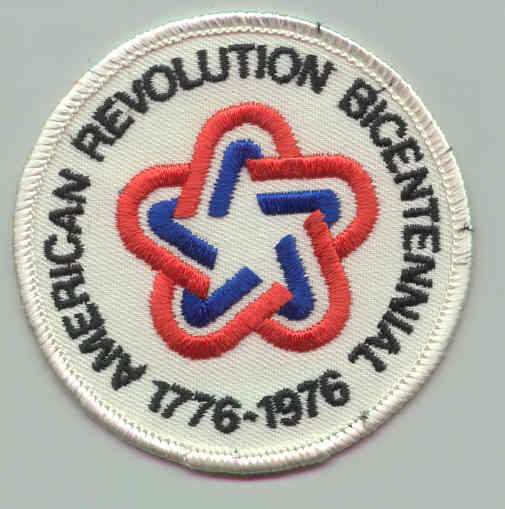 Prior to 2004 the only official patch worn on the right shoulder was for the Bicentennial in 1976. 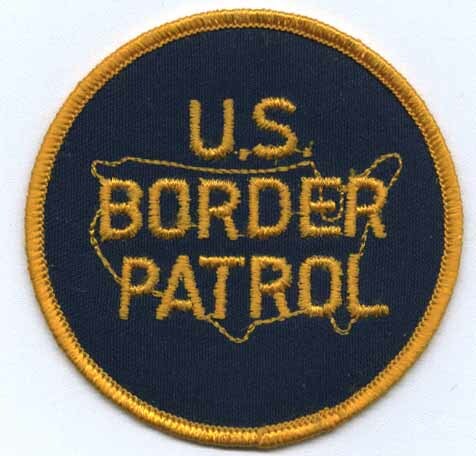 An official tab was also worn below the regular patch for the U.S. Border Patrols 50th Anniversary in 1974. 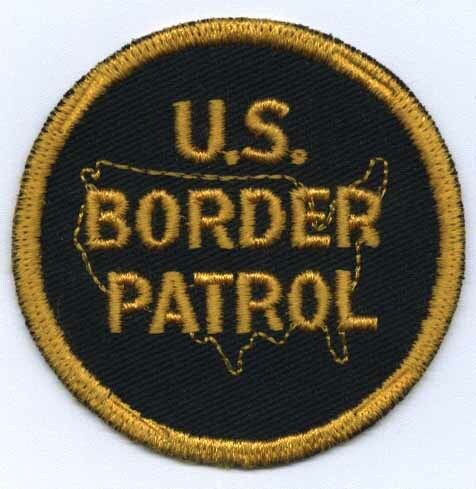 NOTE: Several of the patches shown were worn around the same time due to different manufactures. Dates are based on information received when the patches were obtained. Alignment of letters changed in 2002. 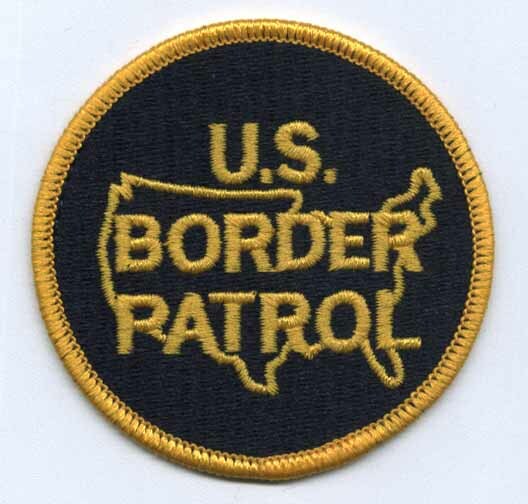 Embroidered patch with midnight blue background and yellow lettering which is evenly lined up. Clear plastic backing. 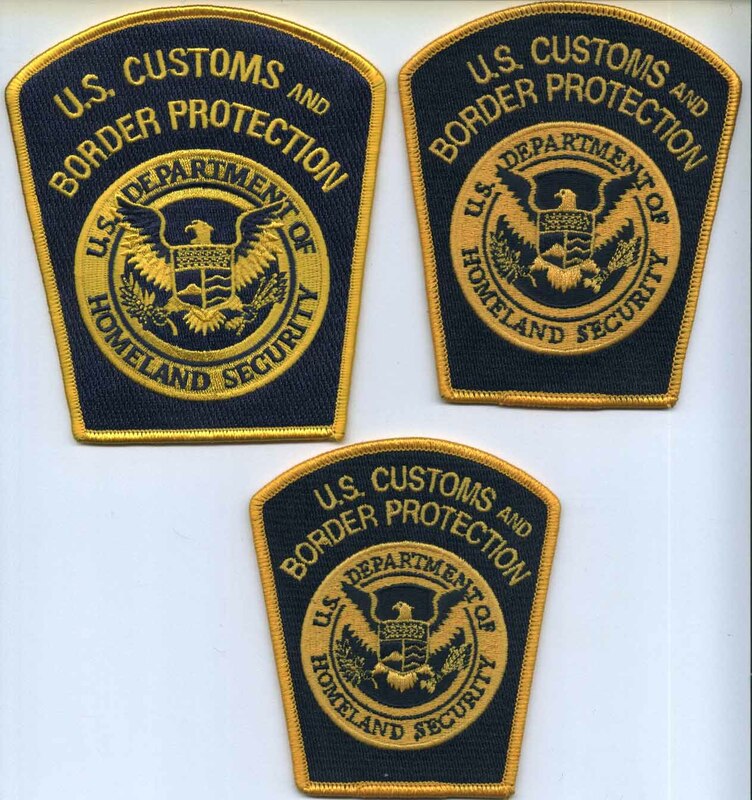 Three sizes of the approved CBP design were considered including one the same size as that approved for OFO (five inch). 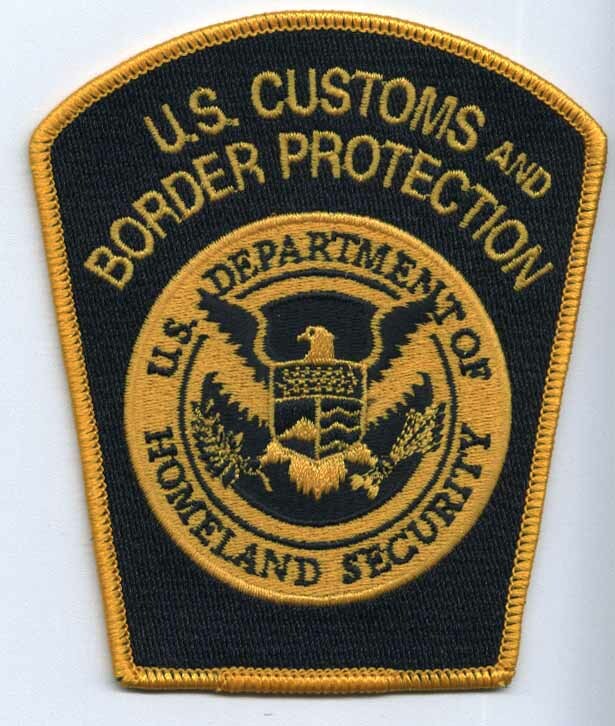 The CBP approved patch for wear is four inches in height, three and a half inches in width at the top, and two and three quarter inches at the bottom. 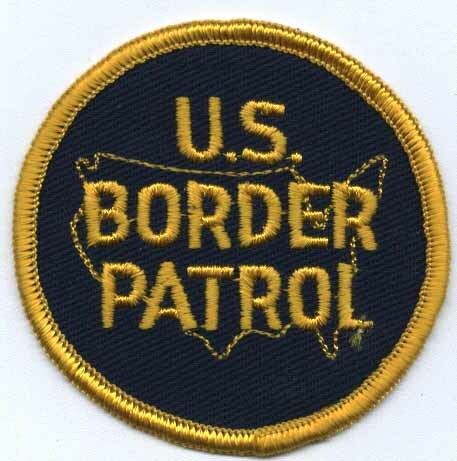 When CBP stood up on March 1, 2003, it was designated as the Bureau of Customs and Border Protection (BCBP). 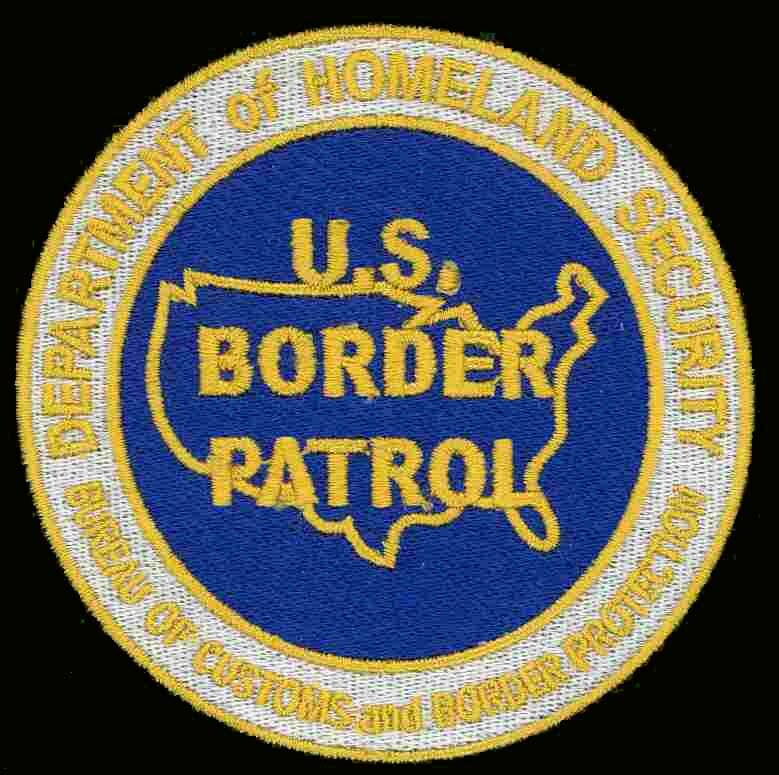 A prototype patch was proposed with the USBP seal and the BCBP moniker, but was rejected by CBP management in favor of the DHS seal and "tombstone" shape CBP patch. Worn mid 1980's to early 1990s. Embroidered navy blue patch with orange lettering and border. Clear plastic backing. Worn late 1970's to early 1980s. Embroidered midnight blue patch with orange lettering and border. Clear plastic backing. More pointed US outline. Worn early to mid 1970s including with 50th Anniversary tab. Navy blue twill patch with orange letting and border. Clear plastic backing. 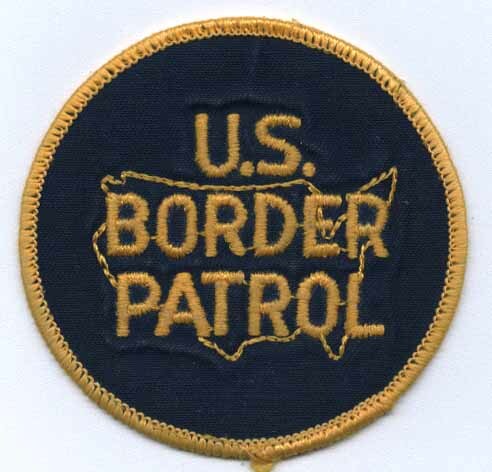 Worn 1960-early 1970s Navy blue twill patch with orange lettering and border. White plastic backing. 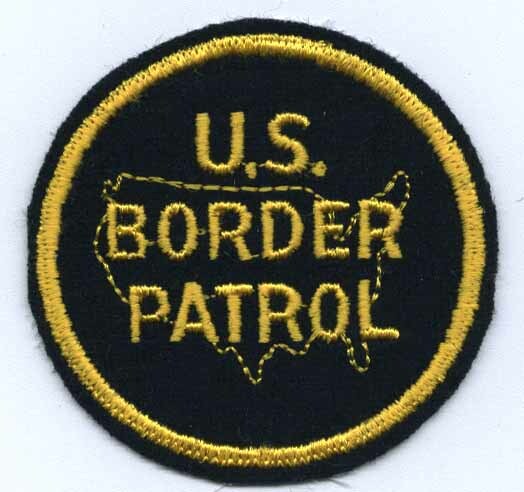 Worn 1960's Black twill patch with yellow lettering, Cheese cloth backing. Worn 1940 -1950 Navy blue GarberTex with orange rayon border and lettering. Cheese cloth backing. 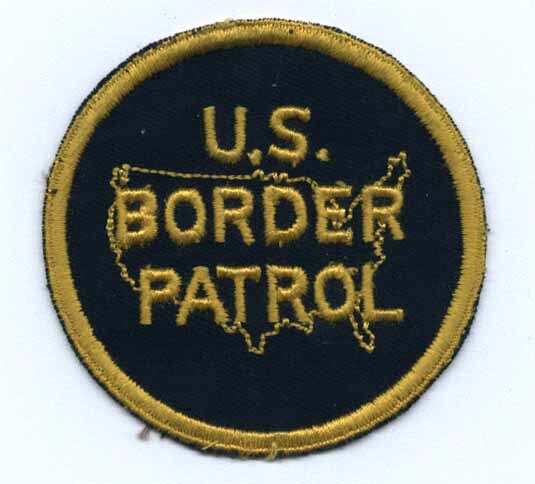 Worn in early 1940's wool patch with navy blue background and yellow rayon lettering and border. Has an outer wool border. Cheese cloth backing. 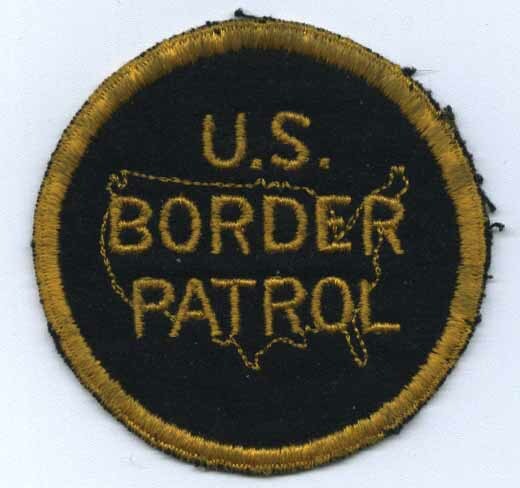 Original style patch Worn during 1930's -1940's Wool patch with a black background and orange border and lettering. Cheese cloth backing. 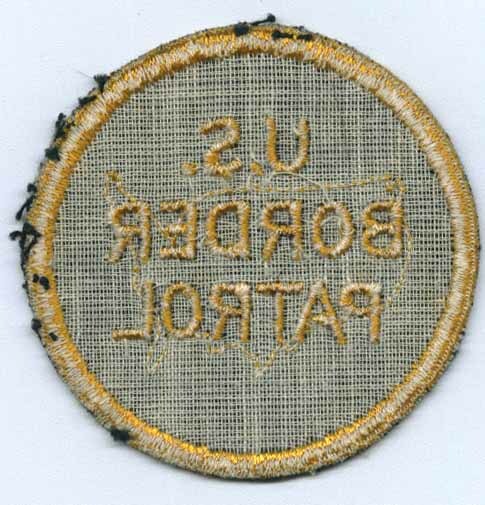 Cheese cloth backing on original style patch worn during the 1930's-1940's.